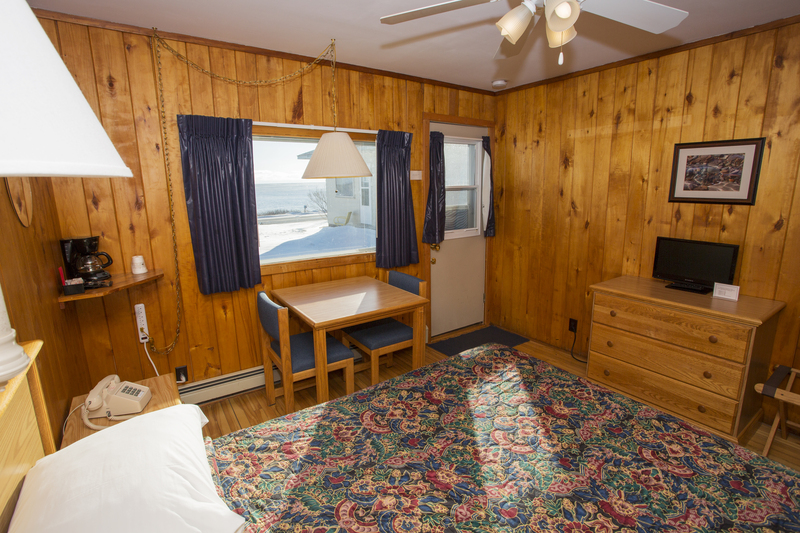 Our rooms will remind you of a north woods cabin--with a great lake view. The Outpost is located on 18 acres of mostly wooded land along Lake Superior's North Shore. Just across the road from the motel is a sand and pebble beach on Lake Superior, perfect for walks on the beach, rock hunting, picnics, a roaring beach bonfire, or just relaxing to the sounds of the waves. To the back of The Outpost is the Superior National Forest. A hiking trail from The Outpost joins the Superior Hiking Trail, which parallels Lake Superior's shoreline for more than 120 miles through boreal forests. Just a short walk from The Outpost is the Kadunce Wayside Park, in which scenic hiking trails follow the deep gorges and waterfalls of the Kadunce Creek. You can visit one of four State Parks (and one national monument) just minutes away. There is plenty to do all around us! The property has a creek running through, a swing set/play equipment area for the younger guests, and plenty of room for picnics or lounging after a day of play and adventure. Our adirondack chairs facing the lake are a great place to have your coffee in the morning, or a beverage in the evening while taking in the view. Even in the winter there are some hearty souls who grab a seat while sipping a hot beverage! Family owned and operated, and with only 14 units, the Outpost Motel provides peaceful accommodations while you explore the wonders of Lake Superior's beautiful North Shore. Please feel free to call us for any additional information about the area or our accommodations. We look forward to seeing you! Check Availability or Book NOW! See our Great TripAdvisor Reviews!